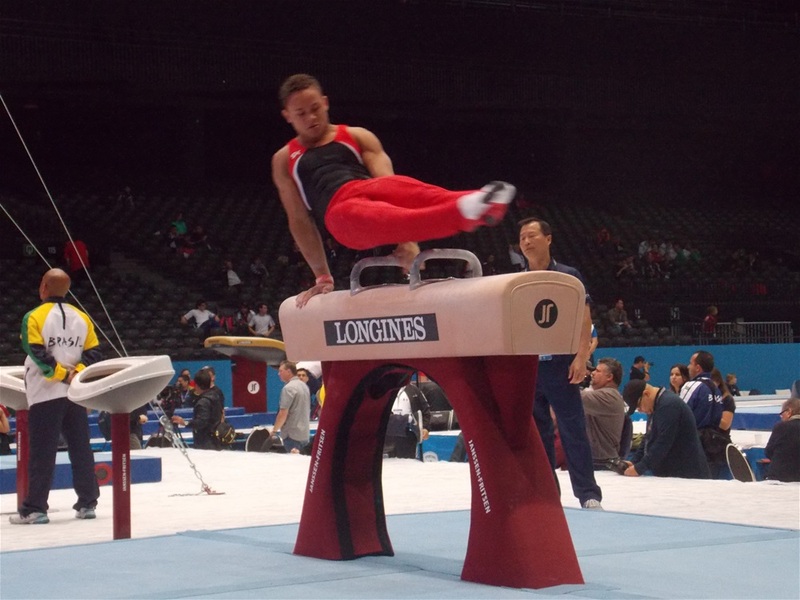 While competing for his home country of The Dominican Republic at the 2013 World Artistic Gymnastics Championships in Belgium, Audrys "Fenfi" Nin Reyes submitted a new Pommel Horse element that was accepted for evaluation by The FIG Men’s Artistic Gymnastics Technical Committee. The techincal details are listed below, along with a link to the video. • Reminder: A maximum of 2 (3/3) cross support travels (forwards and/or backwards) may be performed in an exercise for value. Here is a link to an article in the Domincan press about Fenfi and his new element, which will now be known and scored as a "Nin Reyes." And here is the translated text for those of us less-skilled in spanish.